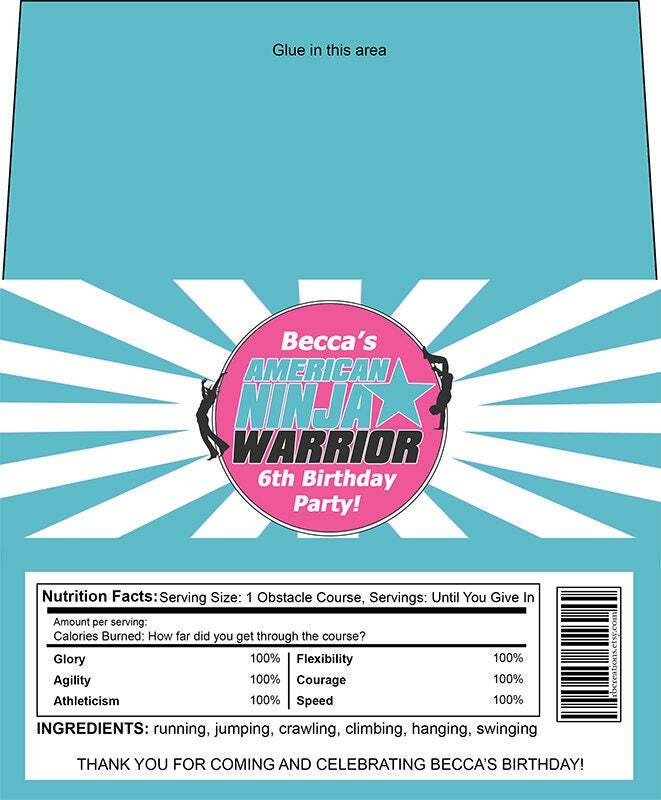 This package consists of candy bar wrappers for 1.55oz Hershey bar for a Ninja Warrior birthday party. They come on an 8.5x11 sheet including two per sheet. 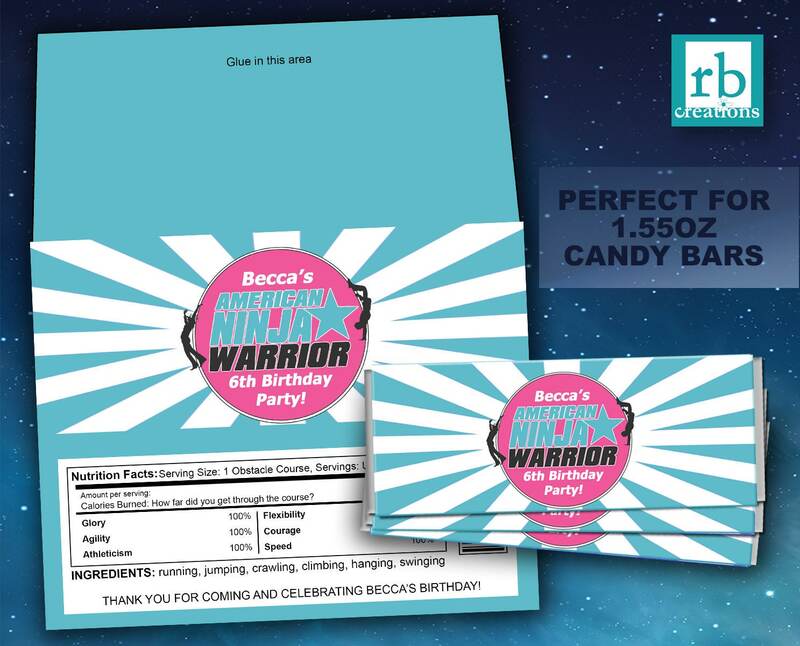 Your order is delivered as a digital file that you can print yourself at home or take to a local store - these can be printed out as photos at places like Walmart, Target, CVS etc., or on card stock at Staples, Kinkos, etc. 1. Name of child and age.